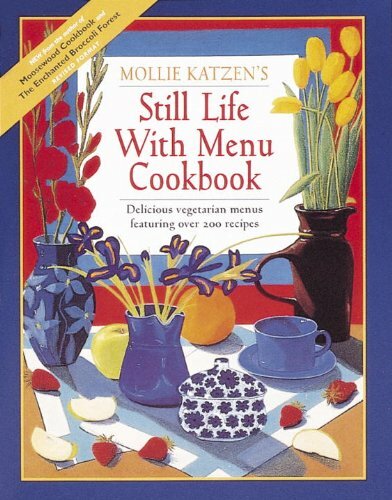 Culinary and fine artist Katzen here provides 55 diverse meatless menus for today's "increasingly complex schedules." Her focus is on presenting an esthetically appealing ethnic meal, nutritionally sound and prepared with easily found ingredients. Katzen's sophisticated vegetarian cuisine has a light touch. Her recipes now use relatively little butterfat and few rich dairy products. Traditional fare is represented (Irish soda bread, Tuscan bean soup, chocolate chip peanut butter cookies). More adventurous are the Thai garlic soup, pesto and peppercorn torta and spinach souffle paprikash. Menus for pasta dinners, stir-fry dinners, breakfast, brunches and teas, and "good" fast food suggest dishes for several meals. Do-ahead steps designed to minimize work time are included with all menus containing more than two dishes.